Kiwis have a remarkable history of turning great ideas into reality – creating ‘world first’ products and techniques that transform the lives of people and businesses around the world. From road surfaces to kitchen appliances, computer technology to bungy jumps, motorbikes to underwater aquariums, we’ve seen the challenges and come up with the solutions. 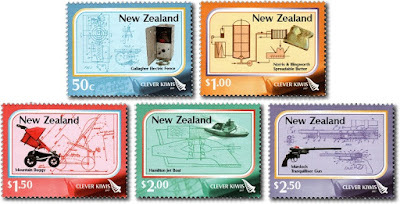 It’s ‘Kiwi can do’ at its best – and it was celebrated in these five stamps - they featured five of New Zealand’s most successful inventions. 50c - First New Zealand Electric Fence. When a horse on his farm persisted in scratching itself on the family car, Bill Gallagher went searching for an effective deterrent. The cunning electrical circuit he invented, which delivered a shock whenever the animal rocked the car, became the prototype for the electric fences now commonly in use on farms around the world. 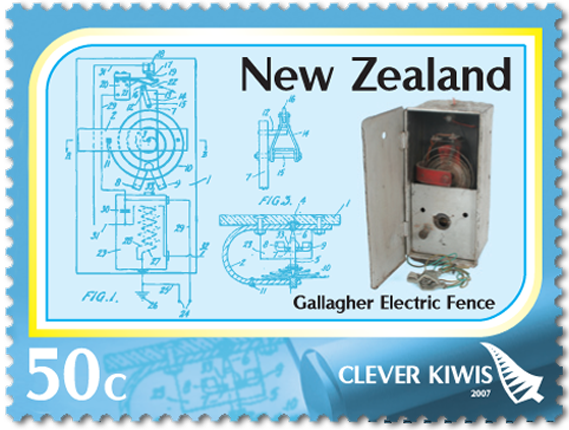 Gallagher’s cheap, reliable and permanent alternative to conventional fencing was commercialised and launched in 1969, and today the Gallagher group continues to lead the industry in electric fence technology. The invention of the refrigerator in the 1940s and ’50s meant great things for most food – but not for butter. This popular staple became difficult to spread, paving the way for competing products like margarine to enter the market. 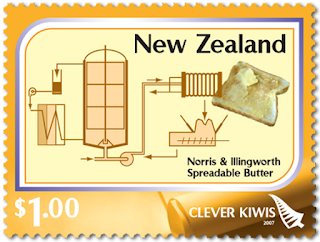 That changed in the 1970s when the New Zealand Dairy Research Institute developed a more ‘spreadable’ butter. 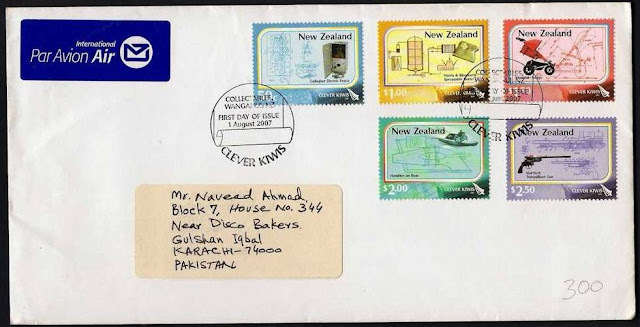 The development was made commercially viable 15 years later, and in 1991 the product was successfully launched in the United Kingdom. 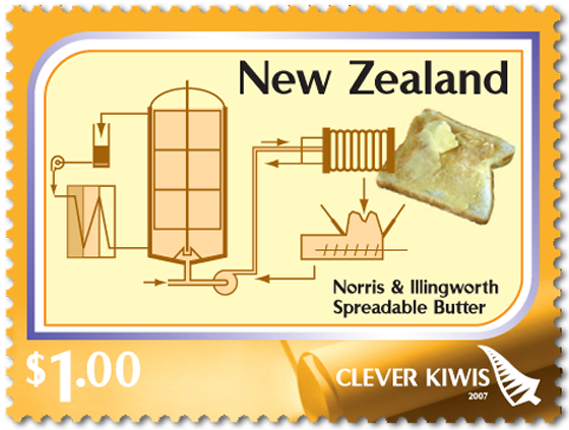 Today, millions of shoppers worldwide enjoy their butter in its much more usable form. 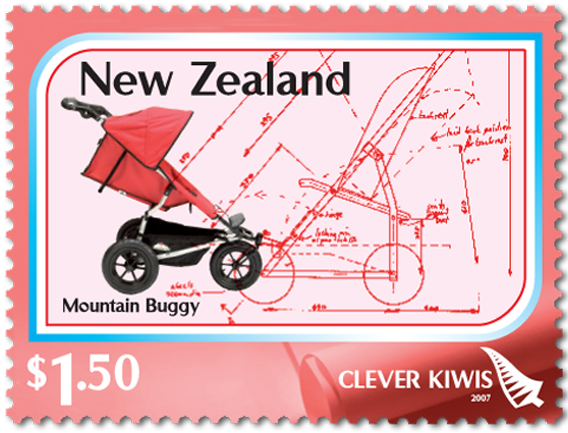 A relatively recent invention, the Mountain Buggy has enabled thousands of fitness enthusiasts to sustain their regimes while taking their children along for the ride. First invented in 1992, it’s stronger, lighter, more stable and easier to steer and fold than conventional prams – and it can go just about anywhere, around town and off-road. 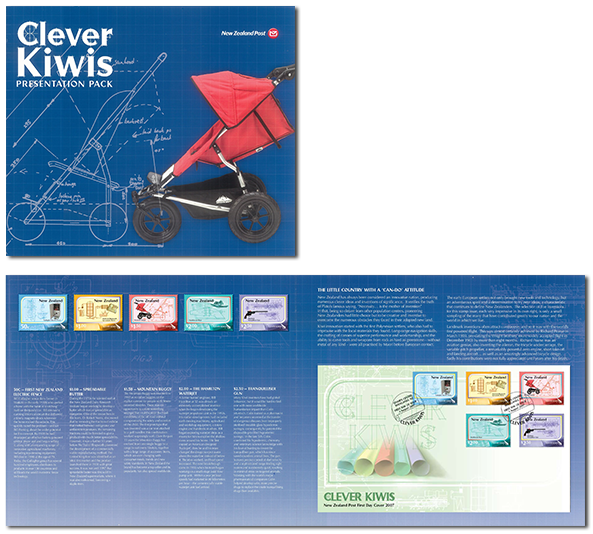 It’s now a top seller in New Zealand, with new designs constantly created to meet changing customer needs, trends and safety standards. The invention of the Hamilton waterjet solved a problem that had been baffling marine engineers for centuries. The brainchild of New Zealander Bill Hamilton, this innovative propulsion system enabled him to navigate jet boats in the shallow waters around his home – and it’s now used around the world for a wide range of work and patrol boats, passenger ferries, rescue craft and recreational vessels. 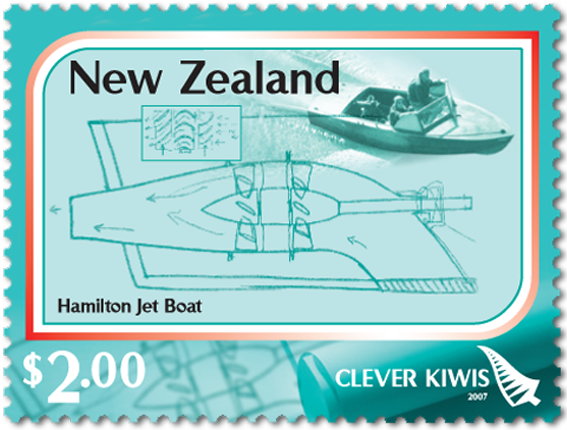 Hamilton was knighted for his services to manufacturing in 1974, having made New Zealand the centre of waterjet and jet-boating technology. 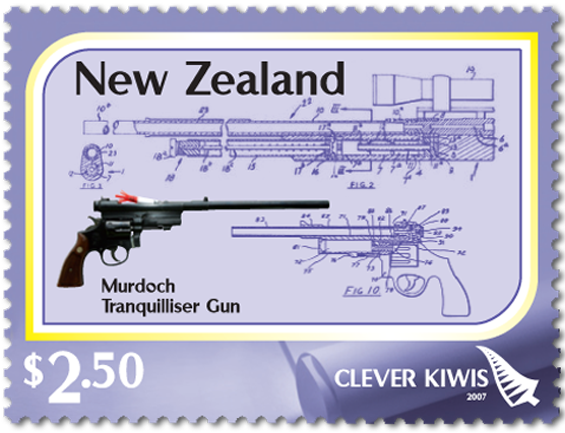 While many of the world’s inventions serve a practical purpose, many also have enormous social impacts – like Colin Murdoch’s tranquilliser gun, which has saved countless animal lives since he designed it in the late 1950s. A follow-up to Murdoch’s disposable pre-filled hypodermic syringe and one among many of Murdoch’s inventions, the gun incorporates a lightweight plastic syringe dart with a ‘shuttlecock’ tail. That means fast, accurate flight – and it’s extremely quiet, which means minimal stress for the animals. First Day Cover - 1 August 2007. 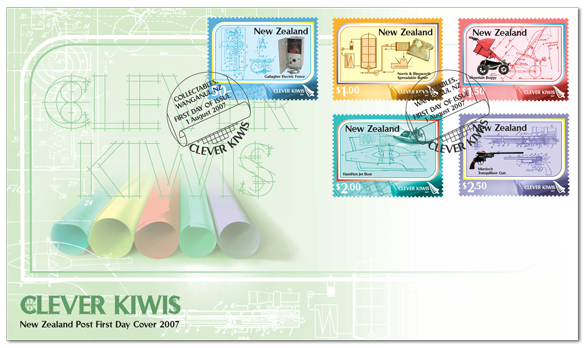 Two unprinted First Day Covers. 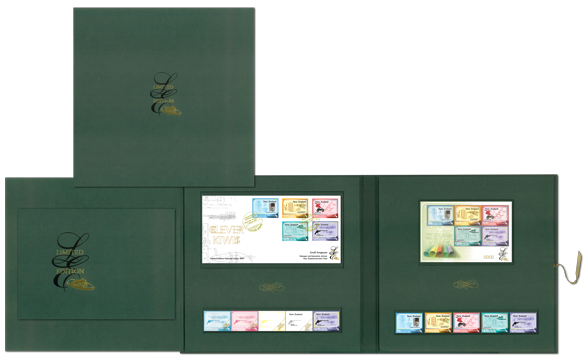 Limited edition collectable contained exclusive stamp products not available anywhere else. 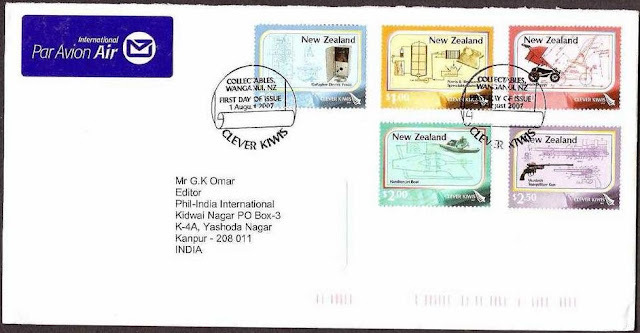 Presentation pack containing a selection of stamp products from the issue and further information on the theme of the stamps.